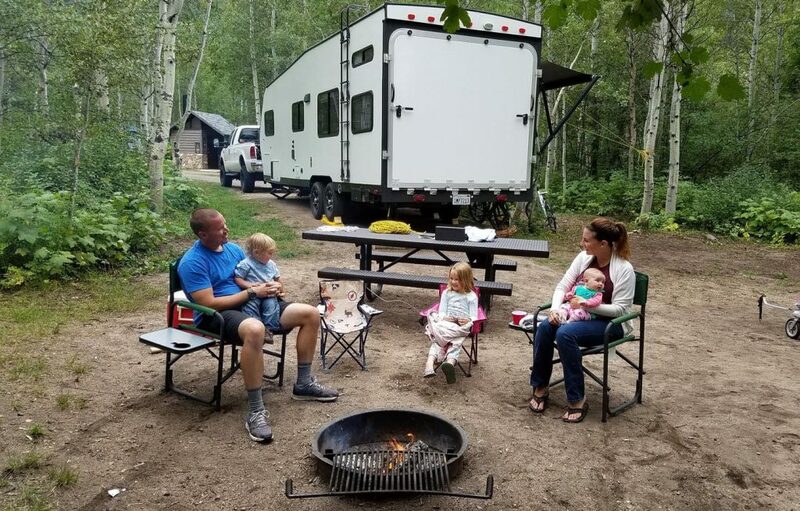 Motorhome and travel trailer rentals are popular ways to enjoy a family camping vacation while trying out different RV floor plans. But if you have children that are required to travel in car seats, you may want to look at the differences between RV types and how they accommodate your needs for safety. 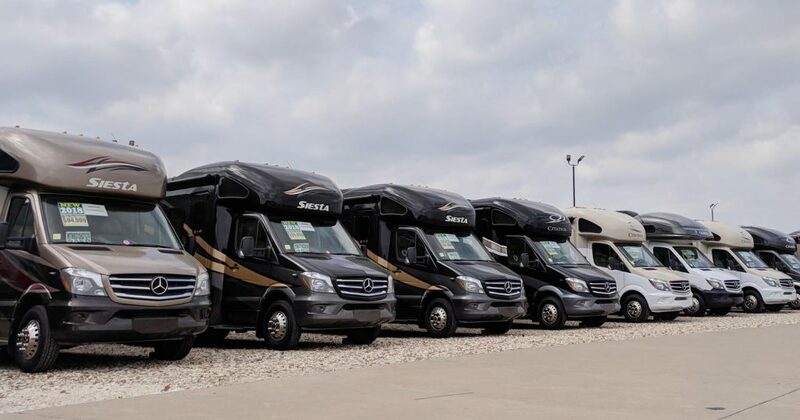 Class A RVs are the big bus-like motorhomes weighing anywhere from 17,000 pounds to over 40,000 pounds. They usually have a basement area underneath the RV and large windshields that allow great views from the front seats. Most newer Class As have been built with lap restraints in rear seats and dinettes. This would allow for attaching car and booster seats. However, no vehicles over 10,000 pounds are required to be crash tested, and therefore, do not have to meet federal seat belt requirements. Also be aware that even if shoulder and lap restraints are attached to the RV frame, the cabinetry and seat bases in dinettes may come apart in a crash, rendering the car seats useless. Class B RVs are essentially large vans. They usually have bench seats or a sofa that folds down into a bed and are built on a truck chassis. Many of these models weigh between 6,000 and 8,000 pounds and are required to pass federal seat belt standards. This means that car seats can be safely attached to back passenger seats. Most rear sofas and dinettes in Class Bs also offer lap belts. Class C RVs are also built on a truck chassis and are usually recognized by the bed over the truck cab. But unlike the Class B vans, these RVs usually weigh over 10,000 pounds. This means they are not required to pass federal seat belt standards. 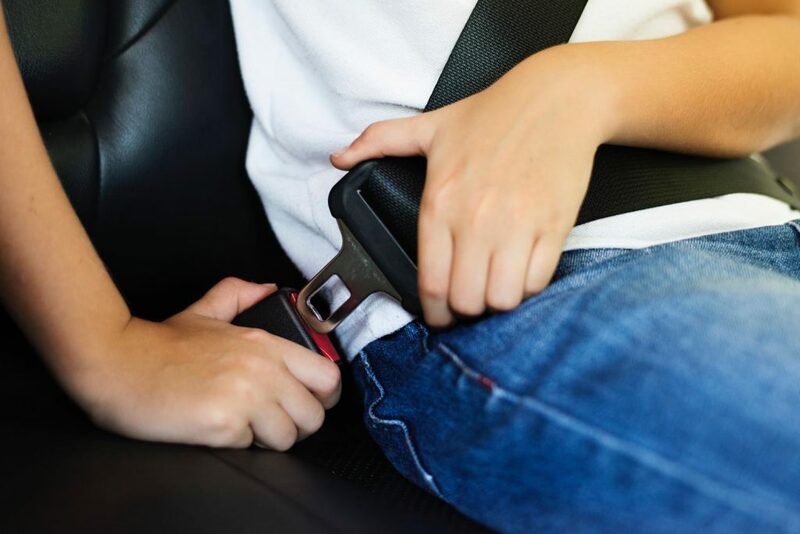 If shoulder and lap belts are found in a Class C, be sure to inspect them to see if the belts are attached to the chassis frame and not just the boards in the bench seats. 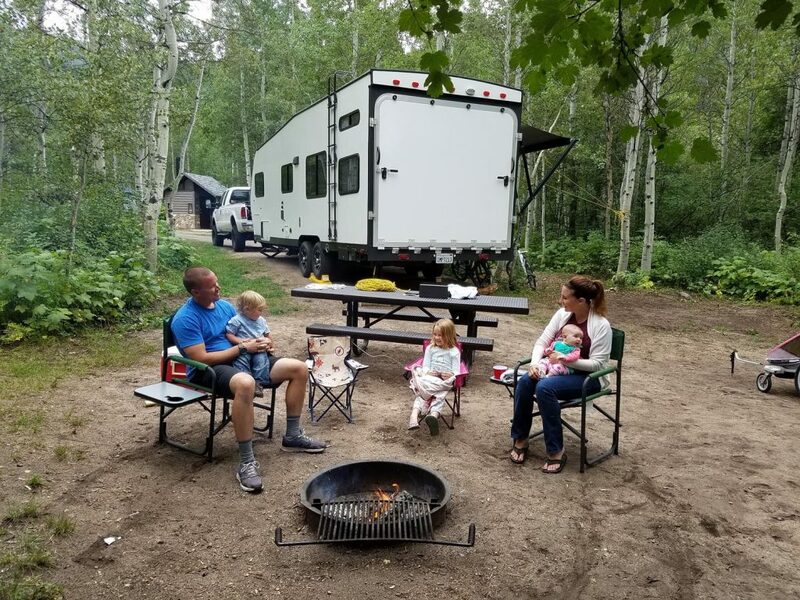 Trailers that are pulled behind a truck, like fifth wheels, travel trailers, pop-up campers and teardrops all require a tow vehicle to get to the campsite. This means your children will be traveling with you in a truck or large SUV that has passed crash testing and meets federal seat belt standards. It also means there will be fewer items that become airborne during a crash, and the frame of the tow vehicle is structurally stronger than an RV. This makes a trailer the safest class of camper for children, because they won’t be traveling in the recreational vehicle at all — only residing in it while it’s at rest. In all motorhomes, car seats should never be attached to rear-facing or side-facing bench seats. The car seats work best when attached to forward-facing seats. All of the aforementioned motorhomes have cabinetry and items that become flying projectiles in a crash. They are also high profile vehicles on the road, which makes them more vulnerable in high winds. Some RVs only offer lap belts, but if you have children age 3 or older and want to give them the best protection with a shoulder strap system, there are a few alternatives. The Ride Safer Delight Travel Vest offers a shoulder harness that hooks on the RV’s lap belt. 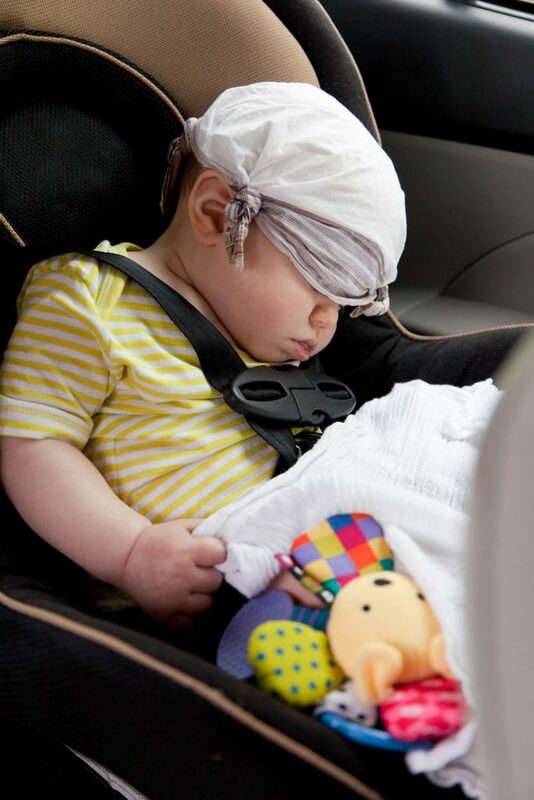 It has a tether and neck pillow and is certified for use in U.S. automobiles. The vest system comes in small and large sizes, is adjustable, and can handle children who weigh between 30 pounds and 60 pounds. Another option if your campsite is not far from home is to drive a separate vehicle to the campground. Your children could ride safely in their car or booster seats as one adult drives them and the other drives the motorhome. Once at the site, your second vehicle can be used to run errands and day trips from the campground. Obviously, there are many variables for safety travel with each type of motorhome or travel trailer. 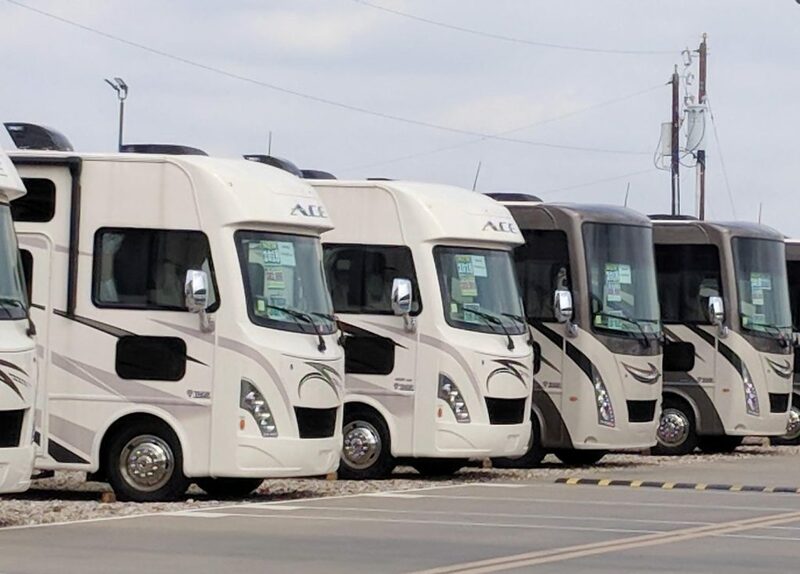 Just remember that RVs of any kind are not crash tested like automobiles, and anything weighing more than 10,000 pounds is not required to pass federal seat belt standards. However, many problems can be avoided with safe driving practices, slower travel speeds and extra care in high winds. If car seats are your only option to keep your children safe, it is best to have them travel in a tow vehicle while pulling a travel trailer. Your second best option might be a Class B van, but they are rarely large enough to handle an entire family at the campsite. The decision will have to be yours, but don’t miss out on family fun by dismissing all forms of camping. So many families find it’s a great way to see the country and spend quality time with their children. It’s a sure bet that you will, too. Just settle on what works best for your family and test out an RV by renting one from Outdoorsy.